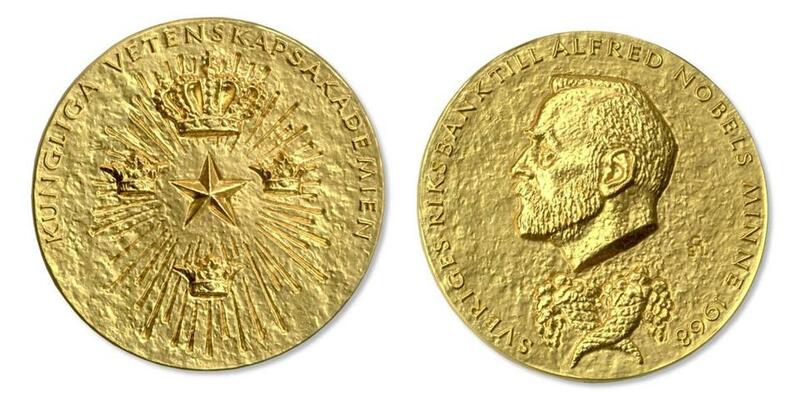 The Nobel Prize in Economic Sciences is engraved with Alfred Nobel’s face and an emblem of the Royal Swedish Academy of Sciences. Thomas C. Schelling, a long-time Harvard University professor who died in 2016, won the Nobel Prize in economics 13 years ago. On Thursday, his family sold his solid gold medal for $187,500 — but for a good cause: the fight against hate. The medal was showcased at an auction in Los Angeles Thursday evening, according to a press release from the auction house that sold it, Nate D. Sanders Auctions. The medal features Alfred Nobel’s face, and the phrase “Sveriges Riksbank Till Alfred Nobels Minne 1968” on one side. The other side contains the name of the Royal Swedish Academy of Sciences — “Kungliga Vetenskapsakademien” — and its north star emblem. “Thomas Schelling 2005” is etched into the medal’s rim, the release said. The proceeds from the sale of the auction were donated to the Southern Poverty Law Center, per Schelling’s request. Schelling was a master of game theory, particularly focusing on cases where two conflicting sides repeatedly interact in international trade deals, according to britannica.com. One of his best-known theories revolved around the nuclear arms race between the United States and the Soviet Union. He argued that uncertain retaliation was more effective than certain retaliation, especially when it came to the threat of nuclear war. He taught at Harvard from 1958 to 1990. After leaving the university, he was elected president of the American Economic Association, where he spoke out about the economics of global warming. Harvard Professor Graham Allison, who worked closely with Schelling at the university’s Kennedy School, said he knew Schelling as a teacher, mentor, and colleague for years. Schelling’s achievements were built from more than theories and research, said his wife, Alice, in an SPLC statement.